Sparkstation takes immense pride in introducing GeoTrust SSL Certificate into our service portfolio. GeoTrust is the world's second largest digital certificate provider, and a leader in a wide variety of Identity and Trust services. With OnlineNIC, you will secure your online business at the lowest price in the industry. An SSL certificate (also known as a Web Server Certificate, Secure Server Certificate, and Digital Certificate) works with the SSL protocol to secure online communications and transactions, and identifies a remote computer, using cryptography. It now has been used to protect the online confidential information and transactions from being viewed, intercepted, or altered by an unauthorized third party when transmitted over the Web or mobile devices. Domain-level validation is the most basic type of SSL. These certificates provide basic encryption, are issued very quickly and involve a simple check to verify domain ownership. Domain-validated certificates are generally the least expensive. Single-domain SSL certificates provide security for a single fully qualified domain name. Wildcard SSL certificates provide security for all the same-level subdomains of a domain. A multi-domain SSL certificate provides secured communications for multiple domains and multiple host names operating on different IP addresses. 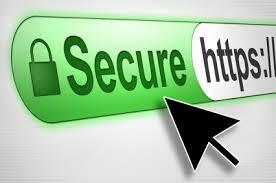 Site Seal : The site seal is a graphic representation of your protection – it’s the main reason people buy SSL. It serves as a constant reminder to customers that your site is protected. Most web users know to look for a site seal, so it’s important to have one. Seals vary in appearance to reflect the differences between certs, but every SSL certificate we offer comes with a seal. Browser Ubiquity : We handpick our SSL certificates to ensure strong browser ubiquity. This means that the majority of the world’s browsers will recognize these certs rather than throwing up a red flag because the company issuing the cert is unknown and its protection cannot be guaranteed. All of our certs are supported by all popular browsers. Encryption Level : Security is determined by the number of bits used to generate the encryption key, which is then used to encrypt the data. Most of our SSL certificates use either 256-bit or 128-bit encryption, depending on the capabilities of computer and server. Both 256- and 128-bit are industry standard for data protection. Top-Tier Support : At Sparkstation, we’re known for providing the finest service in the industry. That’s probably thanks to our stellar support team – in addition to being incredibly knowledgeable, Namecheap support staffers are some of the nicest, most helpful people you’ll ever encounter. They’re available 24/7 to answer questions and offer advice.